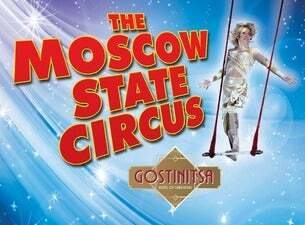 Prepare to be swept of your feet by Moscow State Circus at their new show, Gostinitsa. This show combines the circus with the Golden Age of Hollywood and has all the spectacle and nerve-tingling, edge-of-your-seat entertainment you’d expect for the whole family. An accumulation of years of hard work, witness award-winning clowns and magnificent acrobats perform tricks as well as try to make you laugh through the Hotel of Curiosities. The Moscow State Circus is a magical experience for people of all ages coming together to see some fantastically unbelievable acts.